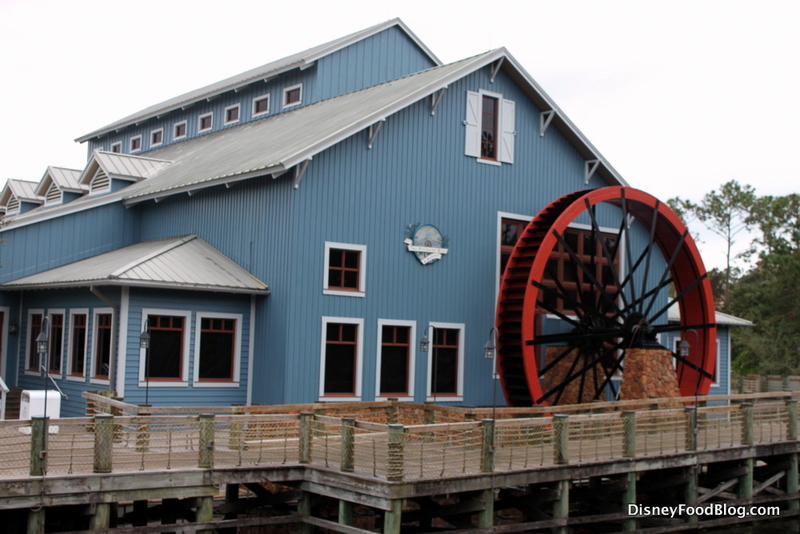 Welcome to the “new” Rix Sports Bar & Grill in Disney’s Coronado Springs Resort! So, why is the “new” in quotes, you may ask? Well, that’s because for a long time, this particular space in Coronado Springs operated as Rix Lounge, providing guests and convention attendees at the Resort a place to drink and… well, lounge. The name changed to Rix Sports Bar & Grill a few months ago. 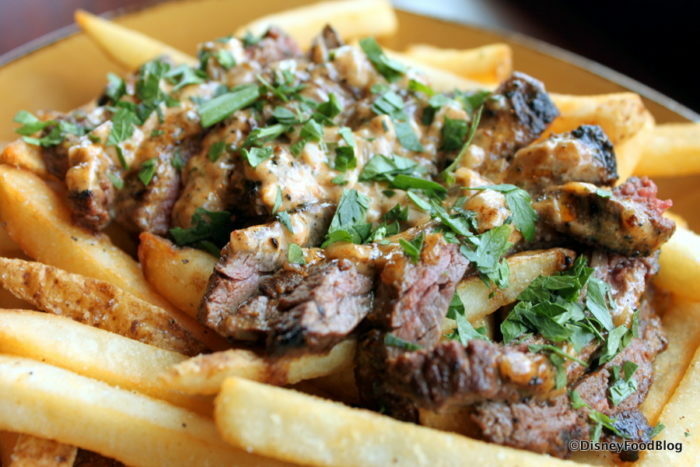 However, it’s only recently that the location has transitioned to a full Table Service Restaurant serving both lunch and dinner, as well as serving up a place to catch a game or two. And it makes sense. 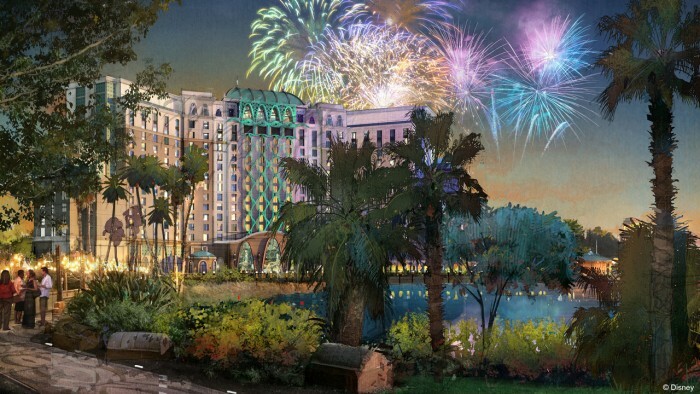 You see, Coronado Springs Resort is in the midst of a pretty major transition which — among other changes — will ultimately add 500 rooms to the Resort by way of a brand new tower (which will also feature rooftop dining). And with room for MANY more guests on the way, more dining options will be required, too. 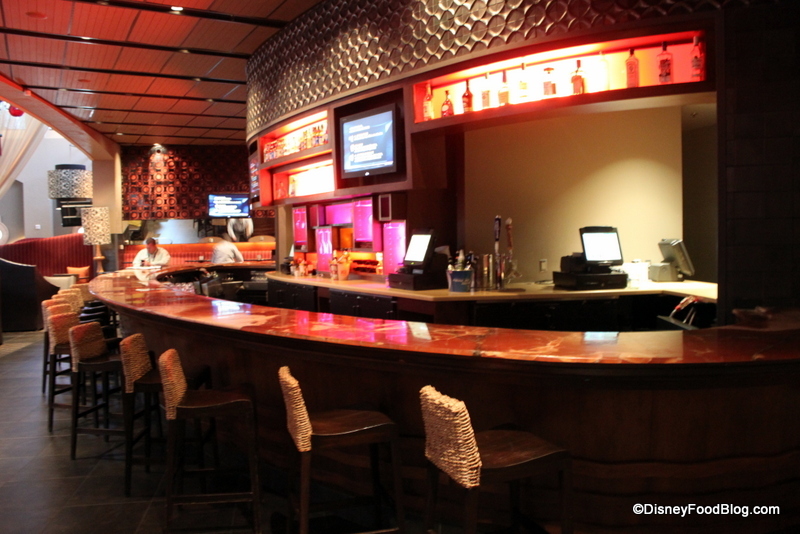 So we’re here to check out the changes while trying out lunch at Rix Sports Bar & Grill! If you’ve ever visited Rix Lounge, you’ll recognize the unique entrance, which remains the same tall structure, but with a change. It now says Rix Sports Bar & Grill, of course! 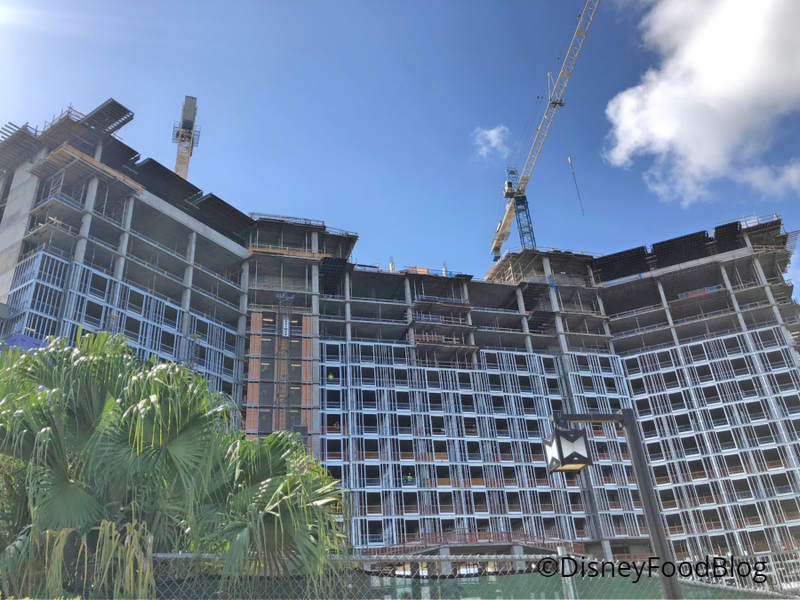 Rix Sports Bar & Grill is currently accepting Advance Dining Reservations at Disney’s Coronado Springs Resort for dates starting June 2, 2018. The space formerly known as Rix Lounge will start serving lunch and dinner, and Disney has posted the menu for the spot. 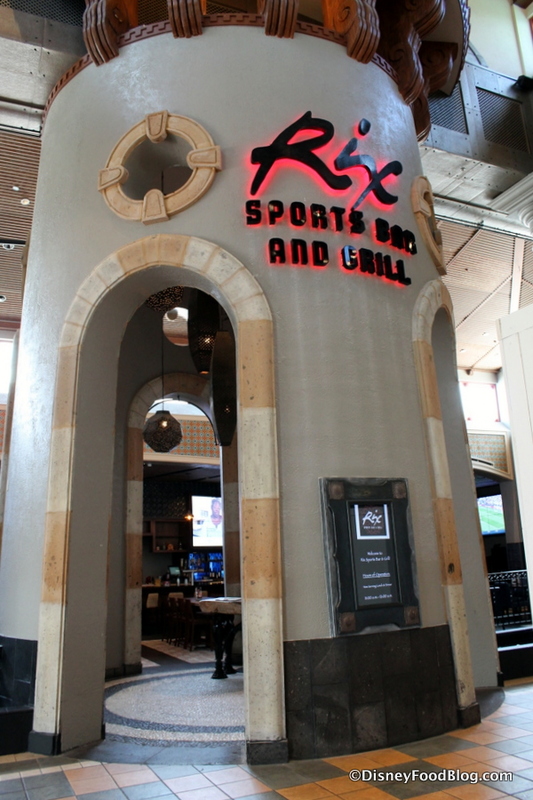 As you might expect from the updated name of Rix Sports Bar & Grill, the menu appears to be sports-arena-concession-meets-pub-grub! Appetizers include Nachos, Lobster Sliders, and Wings.